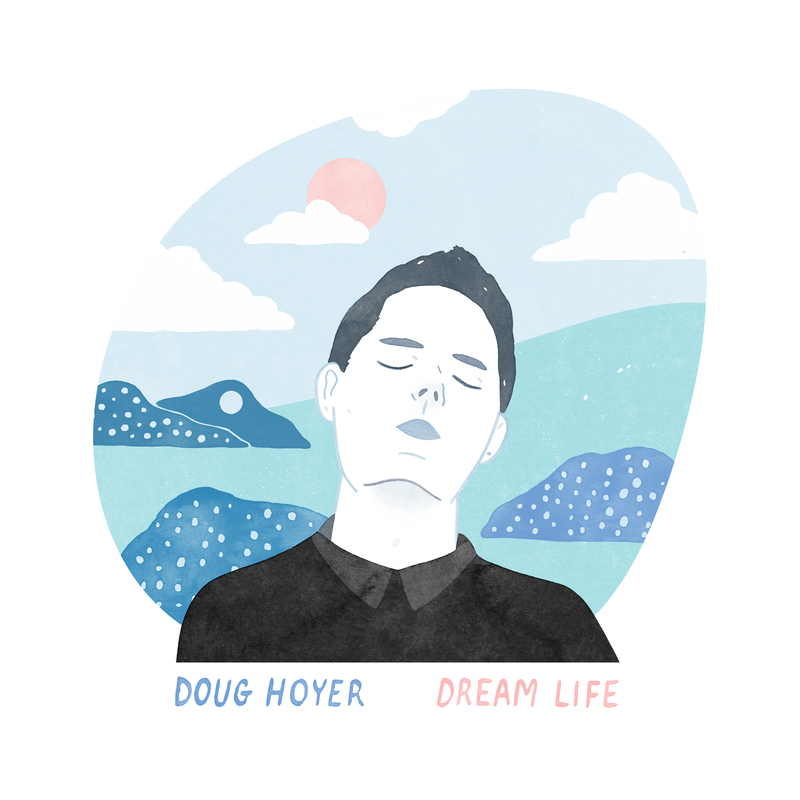 The “dream life” is both a concept for this record and perhaps a way of describing Doug Hoyer’s music. As a concept, the lyrics reference this ideal place that can be potentially hard to get to (“Cave Becomes a Canyon”) or something very close (“In My Dreams”). As a description, “dream life” could be the name of a genre inhabited solely by Hoyer. His songs in the past have referenced meeting an old acquaintance while getting a slice of bulgogi and simple, lovely odes to his wife, but his arrangements are up in the clouds. On this album, he dips into jazz and funk occasionally to expand his pop sound. Paradoxically, his true-to-life lyrics hit home when the music backing them is other-worldly. As is the case with most Edmonton-produced efforts, its local music scene is everywhere on this record; Tasy Hudson does backup vocals, Jesse Northey produced and recorded; Mitchmatic throws in some bongos; Doug Organ plays some more obscure instruments here and there; Hoyer’s wife (and kickass coyote researcher), Maureen Murray, contributes some cello. There’s also a theme of trust and friendship, first in “Get it Right,” a synth-heavy atmosphere that really drives home the story Hoyer tells. And “Real Problems,” with its sunny guitar, makes a crucial point: sometimes the best thing you can do for your friends is listening to them. “Cave Becomes a Canyon” is an album highlight simply for sounding nothing like anything else he’s done; the focus on bass lines makes this perhaps the funkiest song he’s ever done, and his wild vocal delivery seems to be something new for him. “Believe in Anything” borrows a bit from jazz for a smooth number (and a great play on the “sowing your wild oats” cliché). It’s the most ambitious album Hoyer has made so far, and it pays off handsomely. Given his new home in Georgia for the next two years, let’s hope Hoyer can continue to make his albums as “Edmonton” as possible.